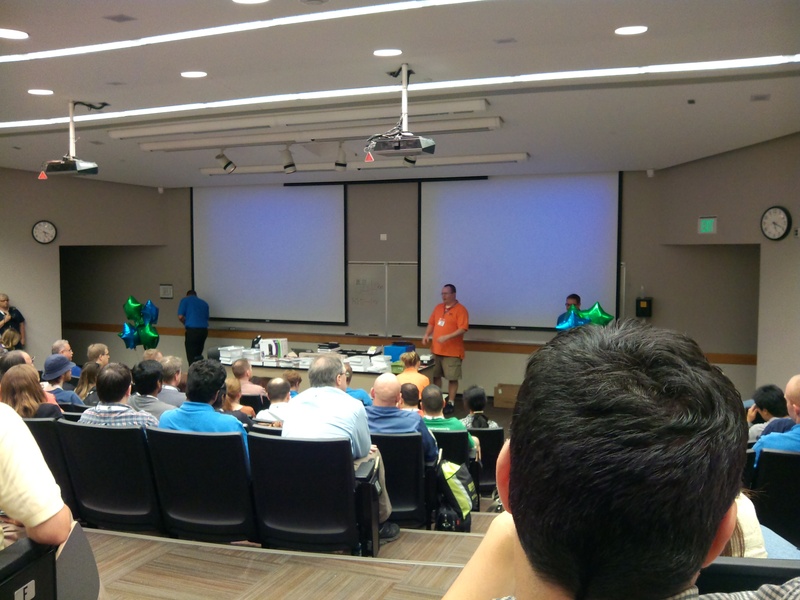 You Betcha SQLSaturday Minnesota Was Great! Make sure to read the title in a Minnesota accent if you haven’t already. I wonder how many blog posts are written in airports? Add another one to the list. 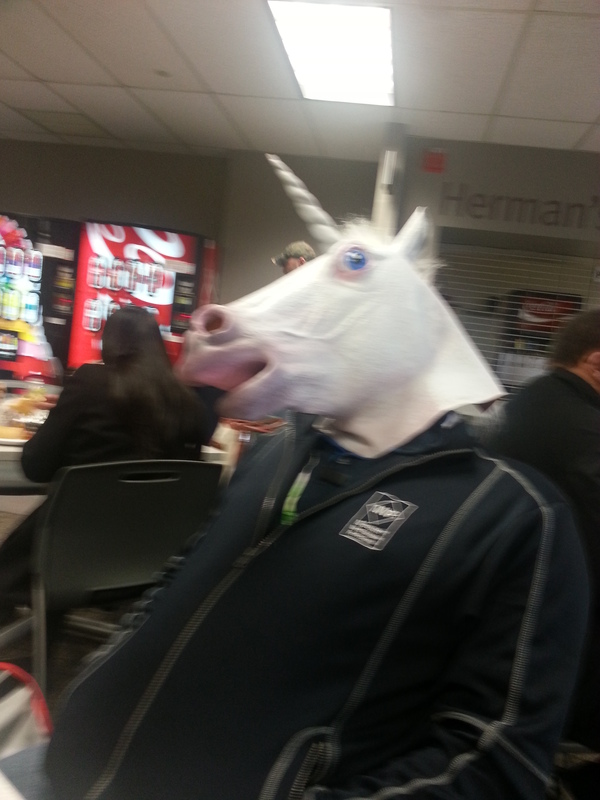 Sitting here waiting on my flight and thinking about what a great time I had at the Minneapolis SQLSaturday. I flew in on Friday and got to the hotel with no issues. Relax for a bit and get Kalamazoo blog post done and head over to the speaker dinner at Don Pablos. This beer gal does on a rare occasion enjoy a margarita so had one and chatted with some excellent people. 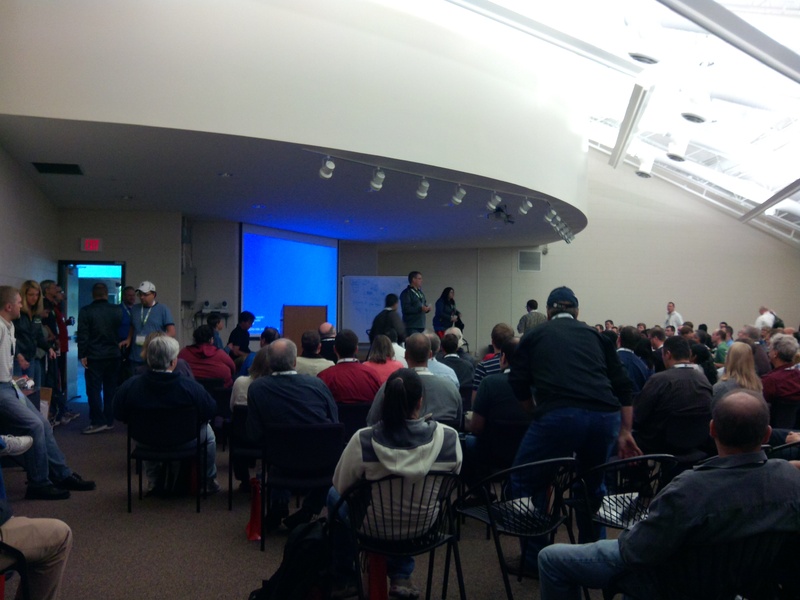 They gave us our speaker shirts and a nice suprise, a super soft throw with SQLSaturday embroidered on it. They are very nice! Thank you so much organizers! Then comes the day of the event. I ride over with Ted Krueger (blog|twitter) and the whole family. The little Kruegers were cracking me up the whole way. They had the event at the University of Minnesota. The site was really nice and it was a gorgeous day out. The venue was split between 2 buildings so was a little sunshine break in between sessions. I find my room and get ready for the shared session with Ted, Consulting – The Good, The Bad, The Ugly. Was really fun doing this session again and under better circumstances than the first time. 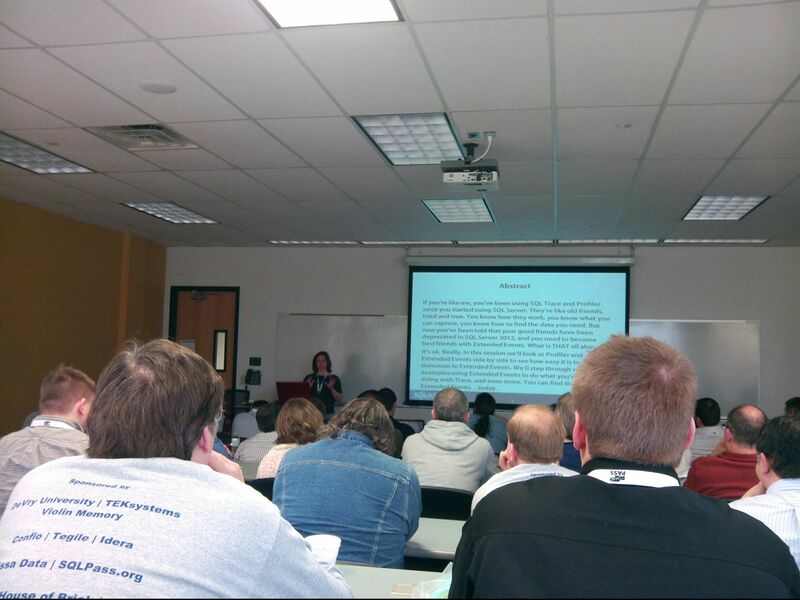 It was a last minute creation for SQLSaturday Indianapolis due to a speaker who had to miss the event. We had time to actually prepare so it felt more fluid this go round. We had a really nice turnout and fantastic interaction with the audience which is always key to making it great. We ended up being dead on the money timing wise too which was good. 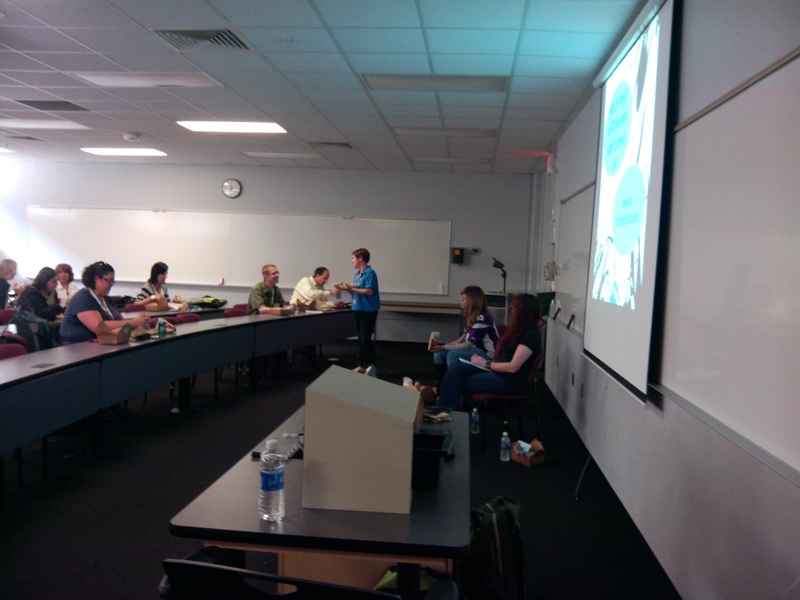 Then I head over to catch Lara Rubbelke’s (blog|twitter) session, Big Data. She had some internet connectivity issues but was prepared with a slideshow with screenshots. I was super impressed with the way she handled it. 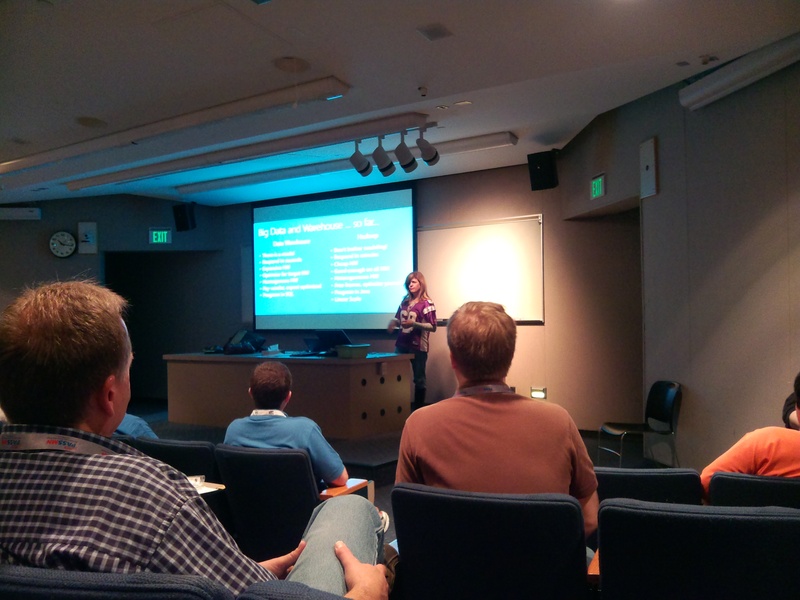 I know very little about Hadoop so learned a lot in her session. She has a wonderful presence that brings to mind like a term that not sure is a real thing but will make up one…technical grace. I had to leave a few minutes early to get over to prepare for the WIT panel discussion. That went well but am kicking myself a bit for that one. 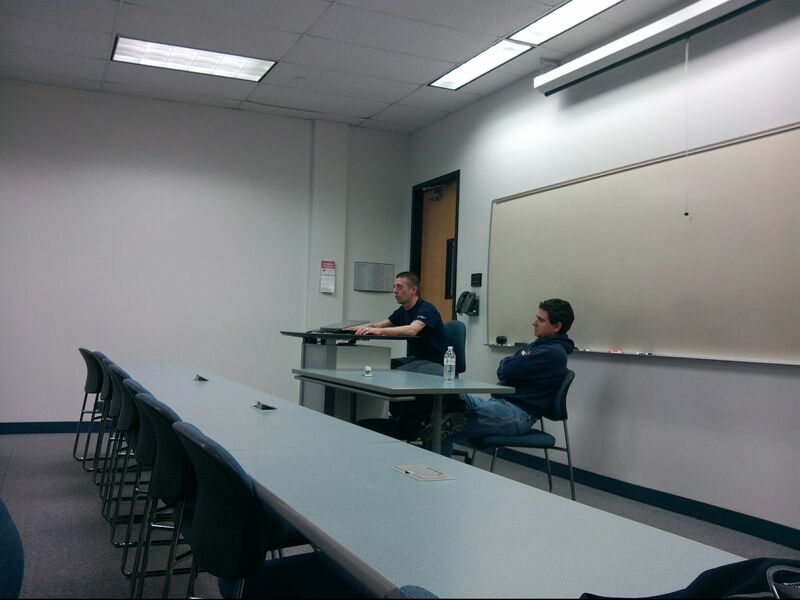 I have been on the panel plenty but I had never been in the role of moderator and I think it showed. The discussion was really good though. We talked about work life balance or as Microsoft terms it “work life integration”. I had just fantastic ladies who agreed to be on the panel: Jes Borland (blog|twitter), Amanda Bates (twitter), and Lara Rubbelke. The audience participation and comments were great! There was one comment from a participant that really stuck with me “Work is not who I am”. She said she wasn’t willing to let her work be the sole definition of who she was as a person. I think I need to keep some more of that in my mind when I determine my own balance in my life. My kids always come first but I feel sometimes outside of them I teeter on the edge of being driven and driving myself too hard. Thank you to the panel and audience again! 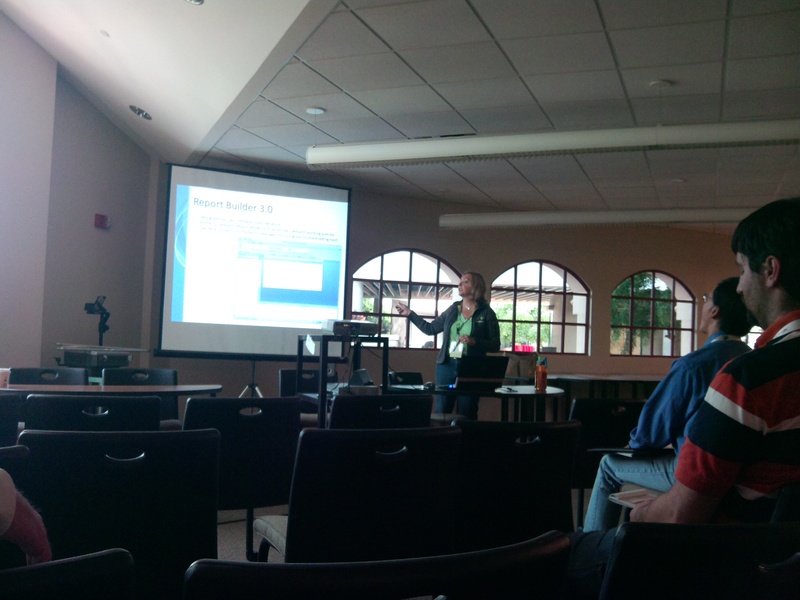 Then after wandering around unable to find the room for a bit I finally find Ted’s session on merge replication. I brought the rest of my lunch with me as didn’t have a chance to eat much during the WIT discussion. So felt like giant jerk disrupting the session trying to open my bag of chips and then even better when my phone starts vibrating during it. Ted’s of course good at giving me grief and I totally deserved it. 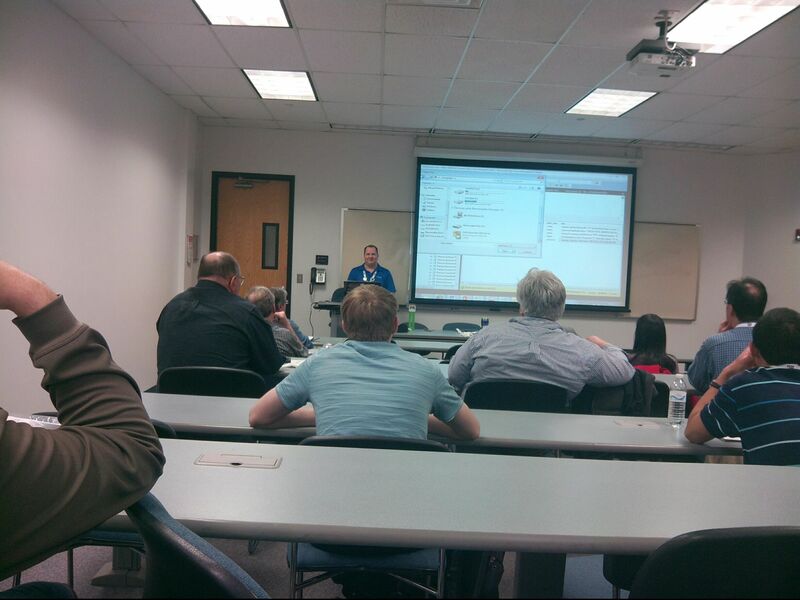 So from then on I catch great info on merge replication and watch his son heckle him a bit during his session. 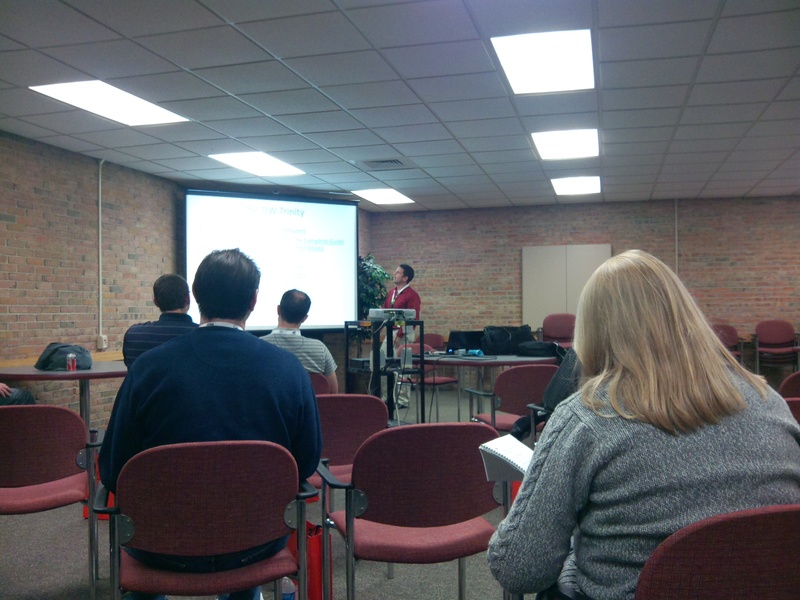 From there I go watch Joe Sack’s (blog|twitter) presentation on “Resolving Cardinality Estimation Issues”. I definitely knew of Joe but had never seen him speak. I am so glad I did, he’s definitely one to go on the super human smart, intellectual crush list. He gave a lot of exceptional information. There was a great moment when he was discussing correlated column statistics when someone in the audience said “Oh crap!” when realized that auto statistics are only on single columns. VERY good session! 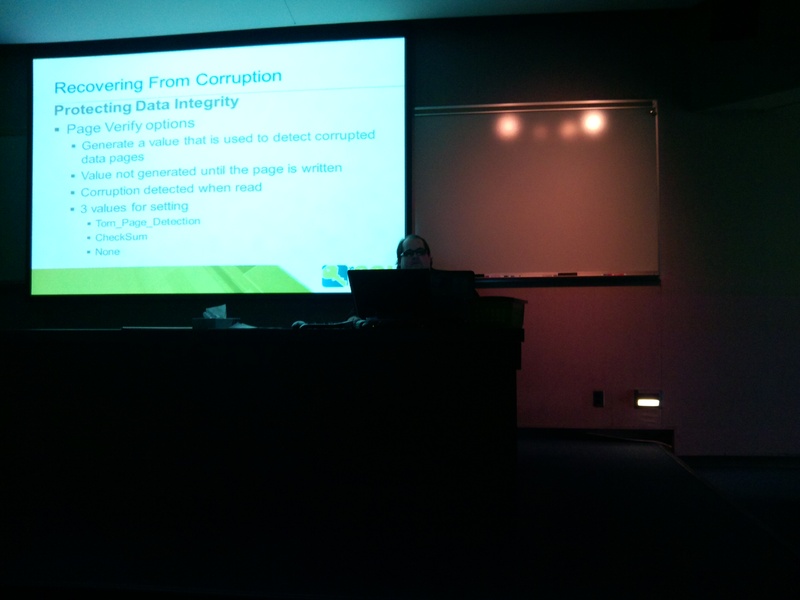 Then was super excited to catch Robert Davis (blog|twitter) give session on corruption. I really had been looking forward to meeting him in person. I knew him by his reputation and on Twitter. He gave a lot of wonderful information in his session and went through some corruption scenarios and resolution to them. 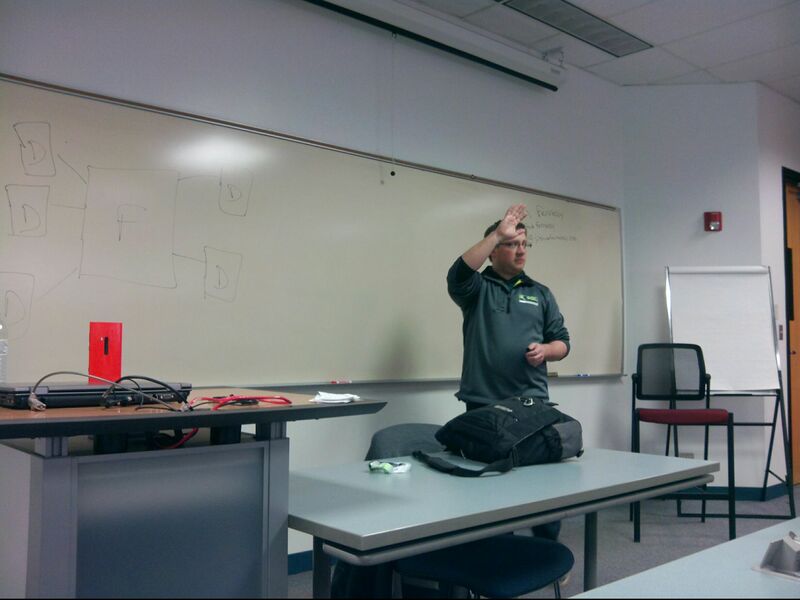 He’s also one of those many folks I have met that have me just floored by the amount they know of SQL Server. They are called MCMs for a reason. I then head over to the closing ceremony which took a very long time due to the amount of top notch stuff from sponsors they were giving away. Paul Timmerman (twitter) and folks did a fantastic job! I’m sure it wasn’t as flawless as it appeared to me but I think that’s a excellent measure of a successful event. Big props to you guys and all the volunteers. Tons of great stuff to giveaway – thanks sponsors! From there we then go to Elsie’s for dinner and karaoke. They bought a ton of appetizers but after my lesson learned in Atlanta (see blog post) I order a yummy burger with a fried egg on it and enjoy some Bell’s Two Hearted Ales. And of course we were in Jason (blog|twitter) and Sarah Strate (blog|twitter) country so the SQLkaraoke began shortly after that. I am still holding strong on not singing but god bless them all, they keep trying. I had a wonderful time with my SQLFamily as I always do. Thank you all for just being so damn great! 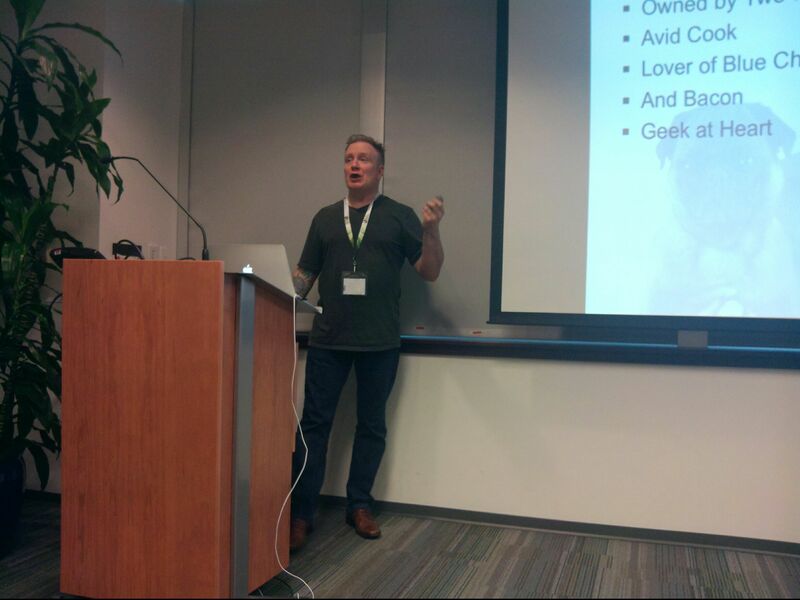 So I am a bit sad to think that’s my last SQLSaturday until probably spring next year. But there are some super exciting things coming like PASS Summit! So excited for the mass invasion of SQL folks in Seattle in just a few weeks! Looking over to my right I can see the tops of clouds while I’m working on this blog post. 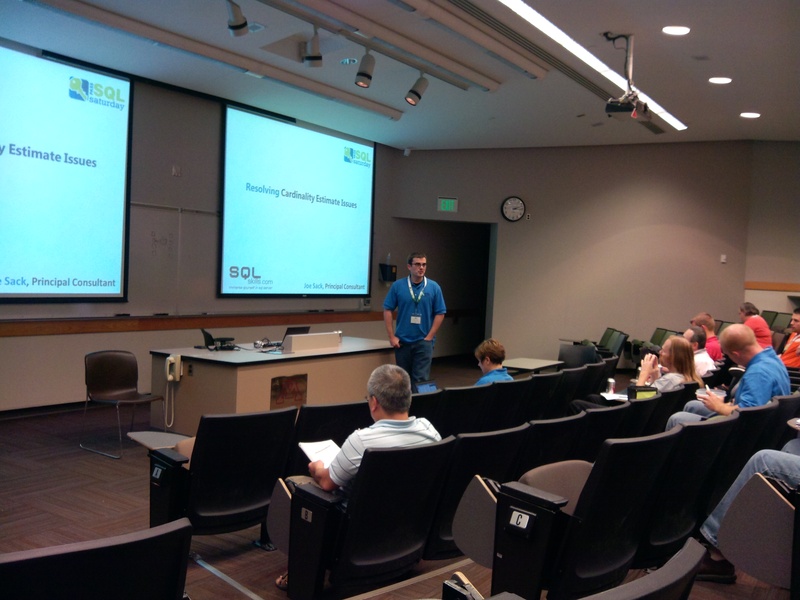 I’m actually on my way to SQLSaturday Minnesota right now so no better time than to reflect back on Kalamazoo last weekend. I drove up on Friday and gave myself plenty of time to make it to town which was nice. Even stopped off in Fort Wayne to get one of them fancy presentation mice all the cool kids have and grabbed some lunch. I get to the hotel and they had to redirect me to a different hotel. Some nut job tampered with the sprinkler system and flooded half of the newly renovated hotel causing over $100,000 in damage. They sent me like 2 minutes down the road to a nice hotel and were super helpful so really was a non-issue in my book. I then spent some time with my re-vamped demo before heading over to the speaker dinner. Ran into Norm Kelm (blog|twitter) and we rode over together to Tim Ford’s (blog|twitter) house. I have been to other speaker dinners/after parties at folks houses before but am always just floored by how gracious those folks are for hosting. Tim and his wife Amy, were super great hosts. There was fantastic food and a great beer selection (super important to this admitted beer snob). They had this really good spicy chicken and apparently fire roasted veggies for the homemade salsa. Really good stuff! 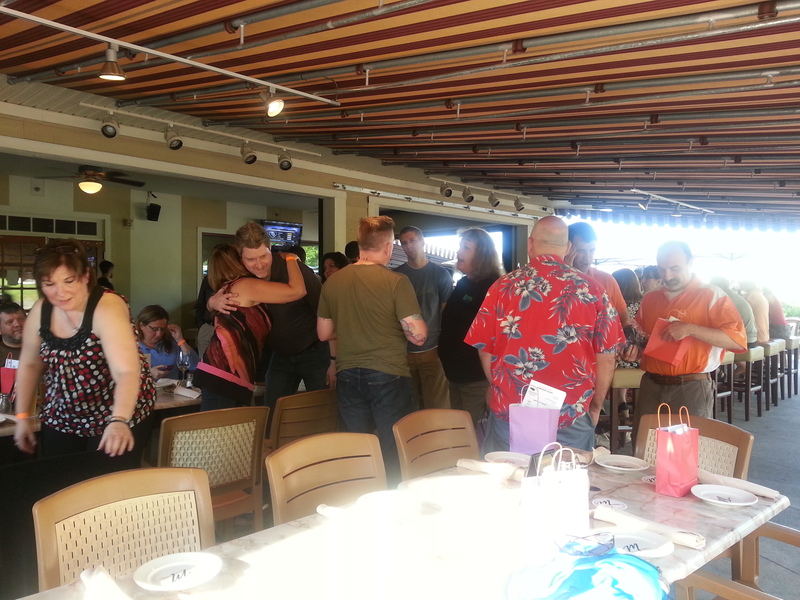 Then got to hangout with my SQL Family a bit which was great! Chatted up everyone who was in earshot, played a really terrible game of pool, and picked up my favorite speaker gift, ever! They gave out these really great light jackets. Not that I haven’t appreciated all the polos and shirts, but being a gal I typically don’t wear them after the event. This is the first one I will actually wear again. Nicely done organizers on the jackets! Event day comes and my session is just before lunch. I get a workout in and head over to the venue. Oh what a venue it was! This place was just a gorgeous facility! They had it at the Kalamazoo Valley Community College. The layout was nice as well. Rooms were a bit spread out but wasn’t excessive at all. 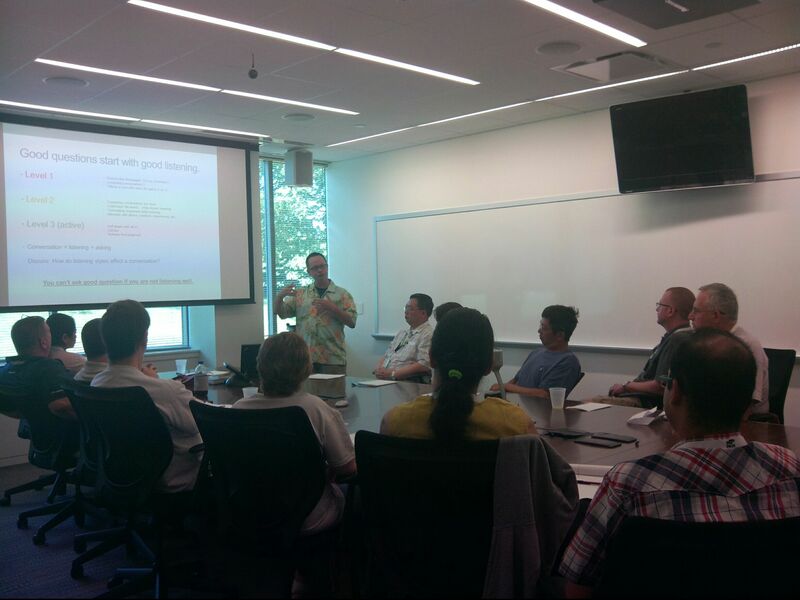 I get setup for my PowerPivot session and had a great turnout. I added a new piece to my demo which went well but I wish I was a little more comfortable with that new portion. I don’t think it showed as I got all 4s and 5s and had some folks stay and discuss PowerPivot more. So then with my session done it was time for the WIT panel at lunch. For a change I didn’t stuff my face during the discussion and waited till after to eat. I’m a liar though if I say I wasn’t worried that I was going to get some food…this girl’s gotta eat! We had really great informal discussion. It was moderated by Shelly Noll (twitter) and the panel was myself, Wendy Pastrick (blog|twitter), Colleen Morrow (blog|twitter), and Tamera Clark (blog|twitter). We talked about things like getting what you deserve in pay and touched some on glass ceiling issues. I liked the term that came up of “voting with your feet” meaning that if you aren’t treated how you want or paid what you want, walk away. After that I grab a couple tacos to go (hooray food!) and head over to Juan Soto’s (blog|twitter) session “Wish you could live the glamorous consulting life?”. I had never seen him speak before and am a consultant so was curious to hear a different aspect of it. He gave a lot of great information and tips for folks who are considering making that jump. Covered some of the considerations such as working from home. You have to be geared to do that and can’t have a lot of distractions in your home. He also had some good information on websites and Google ads. 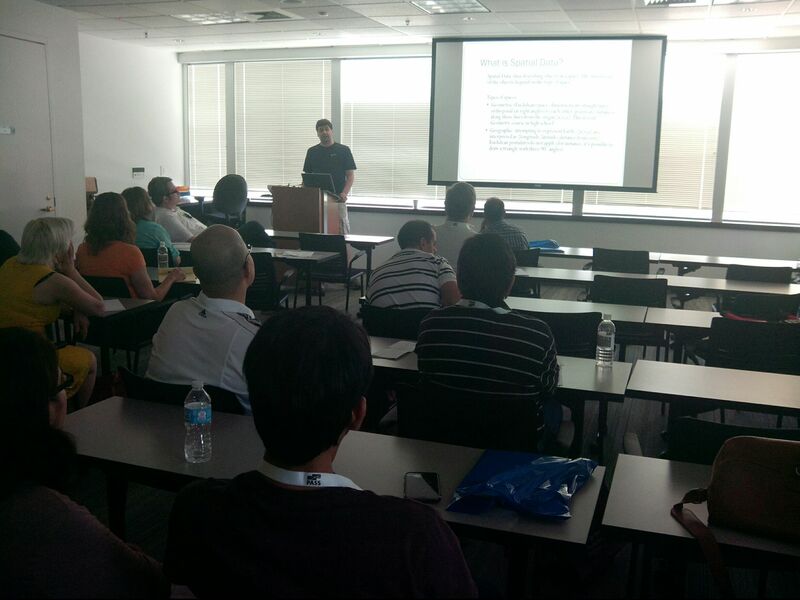 From there I went to Garrett Edmondson’s (blog) session “Scaling SQL Server to Hundreds of Terabytes”. I wasn’t familiar with him as well and was intrigued by the topic. He did a good job and is very knowledgeable on data warehouses. He also is one of the rare folks also getting to work with PDW and talked about that a bit. 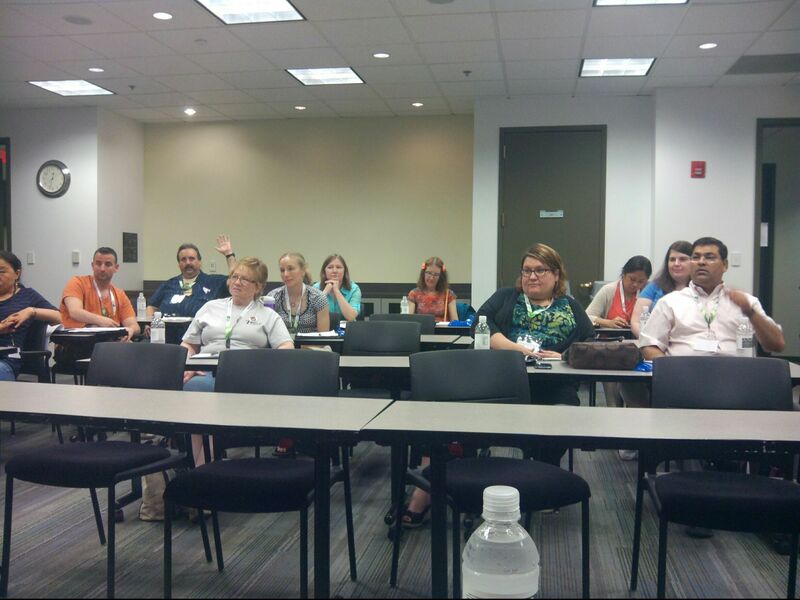 For the last session of the day I went to go see Tamera like a camera Clark give session on creating your first SSRS report. I’ve known her from Twitter for quite awhile so was excited to see her present. She had some small hiccups with her datasets but she recovered well and did a good job. She’s a fabulous gal and her personality shines through which is great. The wrap up went on for a good long time because they had tons of sponsors. I gave Josh Fennessy (blog|twitter) tons of grief because of this which was really due to the fact I had a big case of sponsor envy going on leading up to the event. So after that then we went downtown to the Beer Exchange for the after party. This was a great place with an interesting concept. They do the beer prices like a stock market that go up and down based on demand. Was a happening spot so they had to break us up into 3 groups of 10. I was in the right spot at the bar and got into one of the first groups. We are sitting and eating having a great time. I had great beer and the best macaroni and cheese I ever had. A bit later I go downstairs to find that some of the others still hadn’t gotten a table yet and were still waiting! I then begin to feel like a giant jerk and move our table out quickly. One of the folks still waiting was Tim and Amy Ford and their kids which totally helped drive the guilt knife in a bit deeper. We then end up going back to Tim/Amy’s house after that as well. Another reason to feel like a giant jerk…yeah umm you haven’t eaten yet but can we all crash your place again? Luckily they are super nice like that and we all had a ball. Jason (blog|twitter) and Sarah Strate (blog|twitter) brought a game called “Cards Against Humanity” that was just flippin hilarious! It was kind of like a super crude and wonderfully inappropriate version of grown up Mad Libs and was fantastic! I may have to buy a copy of that myself. Well I had plenty of time to reflect on the SQLSaturday Indy and now I am back in the saddle but on the stressful side of the fence, the speaker side. 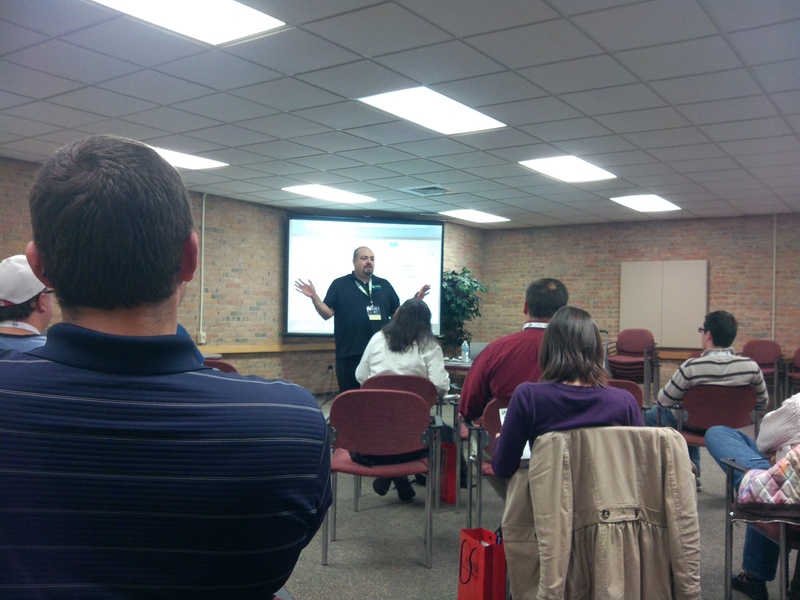 I will be doing back to back SQLSaturdays starting this weekend in Kalamazoo for #sqlsat160! I am really looking forward to this one! I will be presenting on PowerPivot 2012 and BISM there. It’s a really great lineup of speakers and word on the street is there will be tacos! Who would miss that? Go register for that one here! 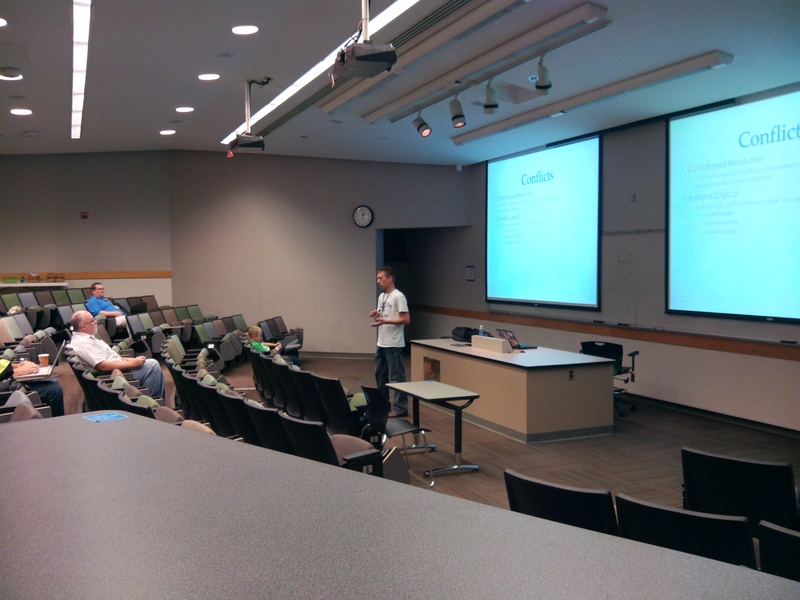 If you can’t make it to that one perhaps I can persuade you into coming to Minnesota for #sqlsat149? I’m not sure what kind of bribes were cashed in to get the schedule they have but I’ll take it! They have a phenomenal schedule lined up and I will be part of it doing “Consulting – The Good, The Bad, The Ugly” again with Ted Kruger. It was such a fun session, can’t wait to do that one again. Go check out that event here. Going to be a bit hectic back to back SQLSaturdays but really can’t wait!